On 25 October 1917 (7 November in the Gregorian calendar) the Bolsheviks, led by Lenin, organised an uprising that overthrew the weak and vacillating Provisional Government that had emerged from the overthrow of the Tsar earlier that year. At 10am on the 25th the Military Revolutionary Committee of the Petrograd Soviet of Workers’ and Soldiers’ Deputies announced that the Provisional Government had been deposed and that state power had passed into the hands of the Military Revolutionary Committee, pending the convocation of the All Russian Congress of the Soviets. 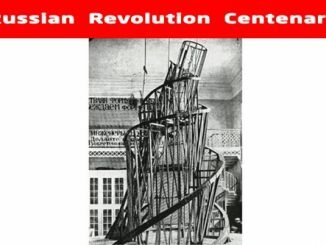 The articles below explore the significance of the October Revolution, the state it created and its contribution to the progress of humanity. 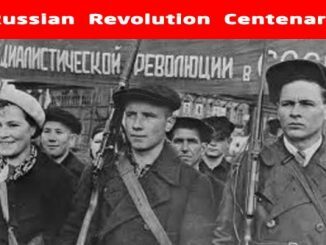 The 1917 October Revolution created today’s world in both an objective and subjective sense. 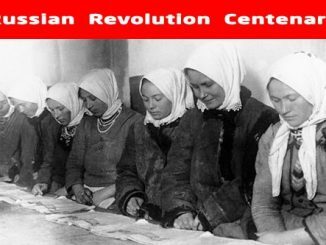 Objectively, the October Revolution delivered the decisive blow to the four-century old colonial and imperialist system from which it has never recovered. Subjectively, in no country has the working class taken power and held it for any prolonged period other than via a political party that originated in the Third International created by the October Revolution (Russia, Yugoslavia, China, Vietnam) or which fused with a party from the Third International and embraced Marxism-Leninism (Cuba). 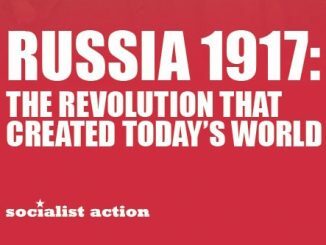 The October revolution of 1917 was the single most important event of the twentieth century. 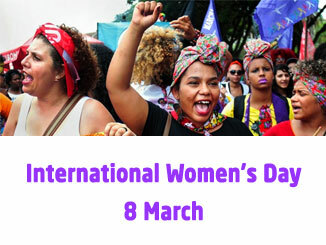 For the first time in human history a state was established, and stabilised, that represented the interests of the labouring majority in society. Society’s resources were to be utilised to advance the welfare, living standards and ambitions of the workers and peasants. The old exploiting classes – the nobility, landlords and capitalists – were stripped of the privileges which they possessed through robbery, deceit, arbitrary violence and grinding exploitation.